India consists of a diverse set of ecosystems with a range of risks, climatic and non-climatic exposures, differential vulnerability profiles, and various institutional regimes. The country is complex, with multi-hazard environments and climate-change hotspots. Negative impacts on key rural production systems like agriculture and forestry are already evident, and a range of losses and impacts across agricultural, water, and forest-based systems are projected for the future. Major livelihood transitions are expected to take place along the rural-urban continuum, coupled with increasing urbanisation. A significant proportion of the population lives in extreme poverty and is highly vulnerable to both everyday risks and the impacts of extreme events. The country also faces serious institutional and governance challenges, compounded by contested growth dynamics, rural-urban migration, and fluxes in the historically-established formal and informal sectors. These dynamics will combine to create pockets of risk where concentrations of historical and emergent challenges are amplified by climatic variability. From 2014-2018, ASSAR’s Indian Institute for Human Settlements (IIHS) team worked in urban, rural and peri-urban study sites in the Bengaluru district, and rural sites in Gulbarga (north Karnataka) and Kolar (in close proximity to Bengaluru) to better understand their existing climate and development challenges. Made up of a team of senior researchers, early-career researchers, and postdoctoral fellows from IIHS, and scientists from the Indian Institute of Tropical Meteorology, Pune, we worked with stakeholders across all levels: state, non-state, household, and community to understand what makes people vulnerable to climate change, what the barriers to adaptation are, and what could enable more effective, sustained and widespread adaptation to climate change. To deal with differential vulnerability across the rural-urban continuum, development policies and climate change adaptation interventions need to respond to the needs and dynamic aspirations of the most vulnerable. Urban development policies require a deeper understanding of informal settlements, including dimensions of differential vulnerability, particularly across the multitude of social categories present, the various actors involved, and the roles of social networks, local associations, and social cohesion. Additionally, viable employment options in rural areas should be developed through the strengthening of rural livelihoods and/or the natural-resource base upon which these livelihoods depend. Migration drivers, processes, and outcomes are complex, differentiated, and span the rural-urban continuum. Migration does not necessarily lead to improved wellbeing, and might have trade-offs for some members of the household. The increasing volumes of migration mean that policy makers need to reimagine adaptation as beyond-local, and develop strategies that can, on one end, make agriculture more viable, and on the other end, provide safer and more inclusive conditions for migrants in urban areas. Urban and regional governance in India is fragmented and weak, and there is little engagement with climate policy. Local governments lack personnel and technical capacity, and have not sufficiently leveraged the presence of a range of domestic and international non-state actors. The relationship between state and city government remains top-down, with decision-making occurring at the state level, and local agencies responsible for implementation. The largest challenge, however, is to build support for climate action within state and local government officials. For decision makers and practitioners in semi-arid regions to make robust and informed decisions it is imperative that they take into account the available, legitimate and reliable knowledge that supports fine-scaled, contextualised, and robust adaptation responses. To facilitate knowledge transfer and local-level adaptation, knowledge brokers should be recognised and formally supported, and the effectiveness of extension services should be improved. Preserving functioning ecosystem services within the urban fabric is crucial for climate resilience planning. However in Bengaluru, these ecosystem services are being challenged by unplanned, haphazard urbanisation. Promoting ecosystem-service-based stormwater-management practices, and exploring alternative strategies that can enable stormwater attenuation or retention are necessary. ASSAR. 2015. ASSAR Theory of Change. [Video]. Adaptation at Scale in Semi-Arid Regions (ASSAR). Link. ASSAR. 2016. Key findings from ASSAR’s regional diagnostic study & initial research: Bangalore sub-region, Karnataka. [Information brief]. Adaptation at Scale in Semi-Arid Regions (ASSAR). Link. ASSAR. 2017. Insight: Out of mind. [Video]. Adaptation at Scale in Semi-Arid Regions (ASSAR). Link. ASSAR. 2017. 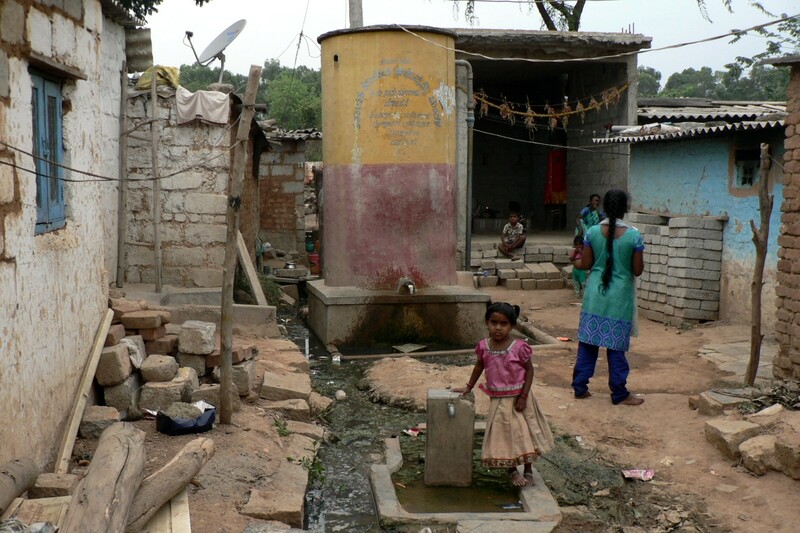 Life in Hebbal Settlement, Bangalore, India: A reality sketch. [Video]. Adaptation at Scale in Semi-Arid Regions (ASSAR). Link. ASSAR. 2017. The impact of drought in Gulbarga Region, Karnataka, India. [Video]. Adaptation at Scale in Semi-Arid Regions (ASSAR). Link. Basu, R. and Morchain, D. 2017. On a road trip to find common ground: Can the goals of the private sector be compatible with sustainable development? [Comic]. Adaptation at Scale in Semi-Arid Regions (ASSAR). Link. Bendapudi, R., Kumbhar, N., Gaikwad, P. and Lobo, C. In press. Agro-met services and farmer responsiveness to advisories: Implications for climate-smart agriculture. In: W. L. Filho (ed.) Handbook of climate change resilience. Cham: Springer. Deshpande, T., and Michael, K. 2017. Living on the edge: A case study of Bangalore’s migrant waste pickers. [Photo essay]. Adaptation at Scale in Semi-Arid Regions (ASSAR). Link. Deshpande, T., Michael, K. and Bhaskara, K., 2018. 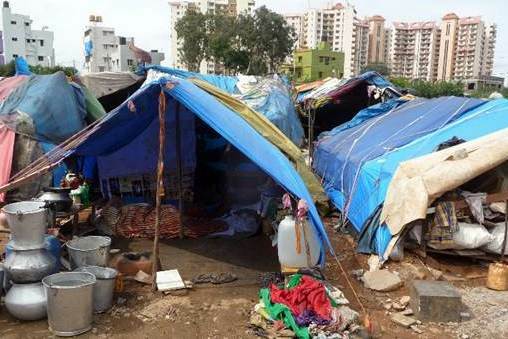 Barriers and enablers of local adaptive measures: A case study of Bengaluru’s informal settlement dwellers. Local Environment. DOI: 10.1080/13549839.2018.1555578. Link to summary. Link to information brief. Gajjar, S. P. 2016. 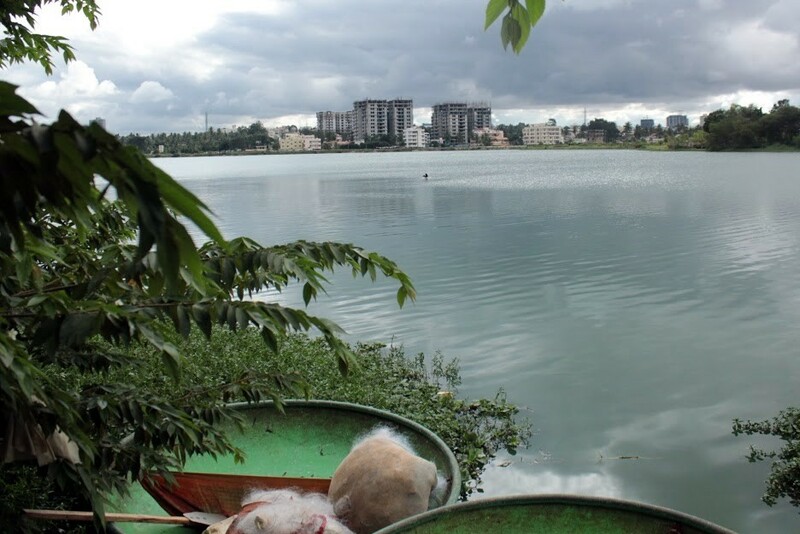 Life and Water at Rachenahalli Lake. [Photo essay]. Adaptation at Scale in Semi-Arid Regions (ASSAR). Link. Rahman, A., Singh, C. and Srinivas, A. In prep. Mobility along the rural-urban continuum around a large Indian metropolis: Implications for climate adaptation. Rahman, A., Singh, C. and Bazaz A. In prep. Climate change in urban areas: Differential vulnerability and adaptive actions in Bangalore. Ramarao, M. V. S., Sanjay, J., Krishnan, R., Mujumdar, M., Bazaz, A. and Revi, A. In prep. Projected changes in aridity over India using high resolution CORDEX South Asia climate simulations. Shenai, N. and Bhaskara, K. 2017. Mind the Gap. [Photo essay]. Adaptation at Scale in Semi-Arid Regions (ASSAR). Link. Singh, C. 2015. What farmers really need - And it isn't 'skilling' Or relief Packages. [Web article]. Huffington Post. 16 October 2015. Link. Singh, C . In press. 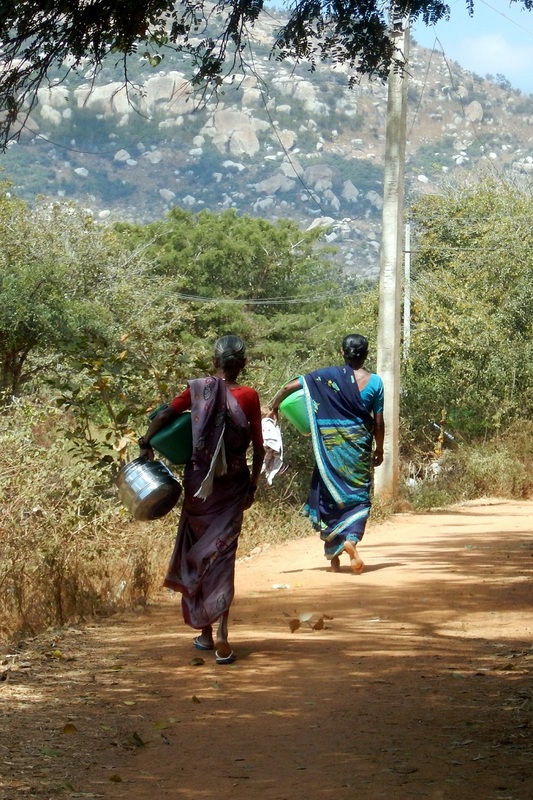 Of borewells and bicycles: The gendered nature of water access in Kolar, Karnataka and its implications on local adaptive capacity. In: A. Hans, N. Rao and A. Prakash (eds.) Gender and Climate Change in South Asia. New Delhi, India: Routledge. Singh, C. and Gautam, M. 2015. Urban dualities: A photo essay of Bangalore city, India. [Photo essay]. Adaptation at Scale in Semi-Arid Regions (ASSAR). Link. Singh, C., Tebboth, M. G. L., Spear, D., Ansah, P. and Mensah, A. In prep. Opening up the methodological toolkit on climate change vulnerability and adaptation research: Reflections from using life history approaches. Spear, D. and Singh, C. 2017. How to help farmers prepare for climate change. [Web article]. The Conversation. 21 September 2017. Link.